Polycarbonate (PC) and polymethyl-methacrylate (PMMA) are commonly used materials for transparent protection. For increased effectiveness against impact, PC and PMMA are typically sandwiched and bonded in multiple layers of varying thicknesses to create a composite laminate. To develop high fidelity simulation methodologies for impact behavior for this type of laminated construction, panels were fabricated with different layers of PC and PMMA, on which blunt impact experiments were conducted. A high speed digital image correlation (DIC) technique was used to obtain full-field deformation measurements including out-of-plane displacement and surface strain. 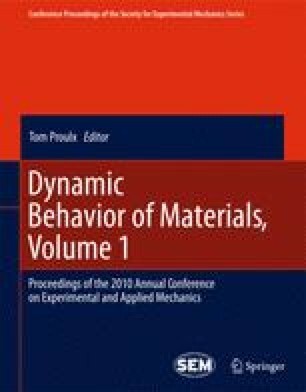 The experimental results are used to evaluate constitutive models and simulation methods for these various configurations of PC/PMMA composite laminates. In this paper, experimental technique and results are presented.